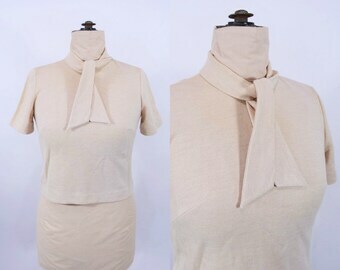 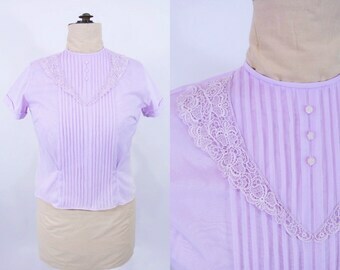 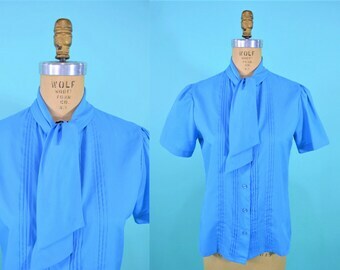 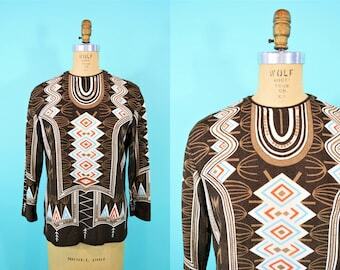 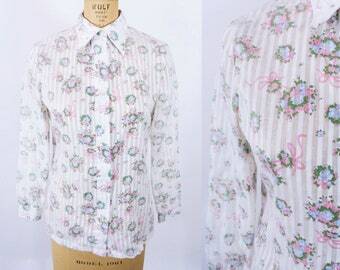 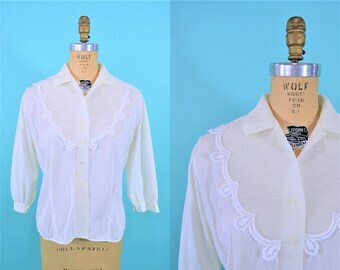 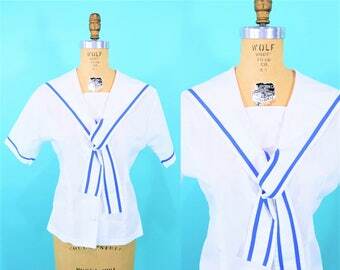 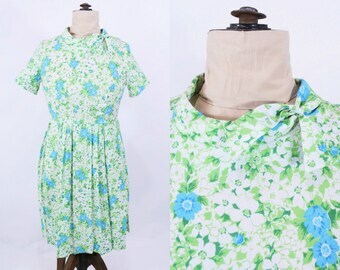 Tuck this beautiful 1950s blouse into a fitted pencil skirt for an attractive ensemble! 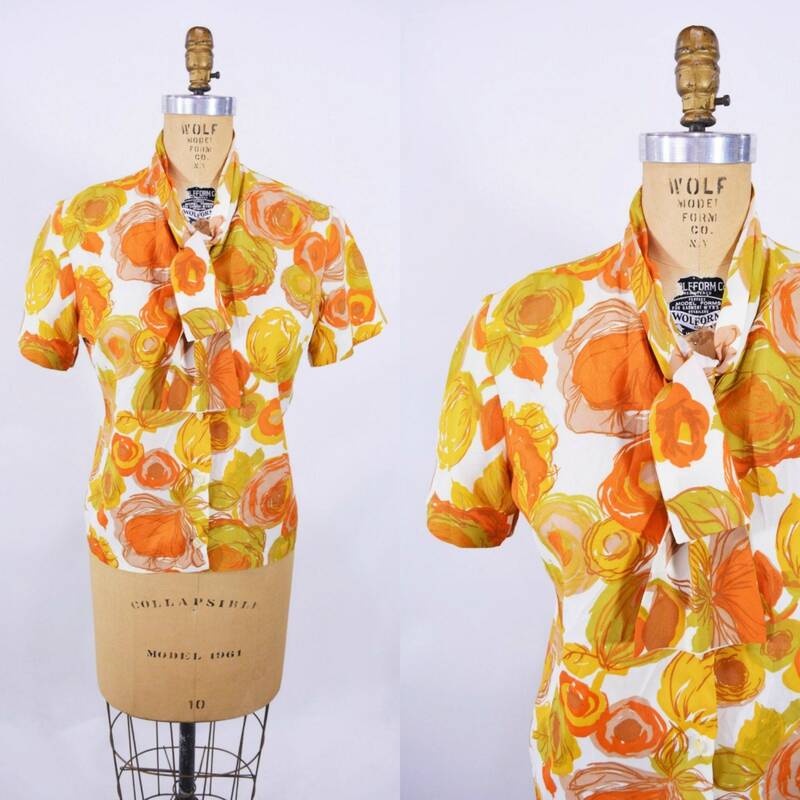 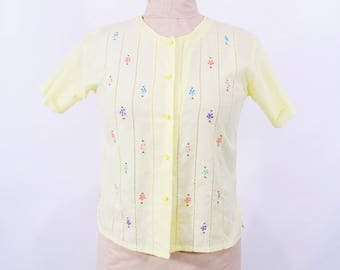 This pretty little vintage top has a watercolor style floral print with orange and yellow colors, buttons down the front and has an attached tie neck. 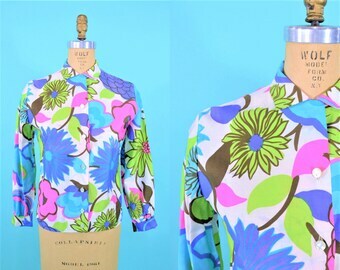 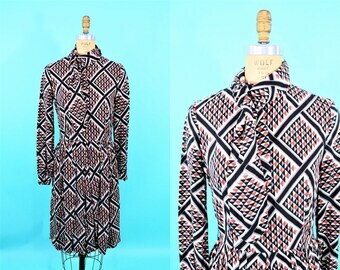 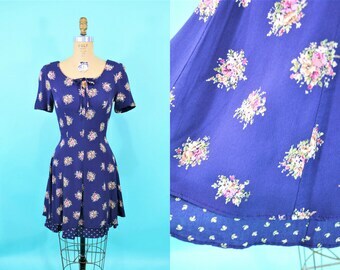 1980s ascot blouse | Judy Bond blue short sleeve pin tuck vintage top | W 37"
1990s babydoll dress | purple floral print short sleeve tiered vintage dress | W 27"
1960s print dress | geometric black red gray prism necktie vintage secretary dress | W 28"
1960s floral tank | bamboo floral print sleeveless vintage top | W 41"
1950s nylon blouse | vintage AS IS lilac nylon lace bib top | W 36"
1970s eyelet blouse | vintage yellow floral embroidery button down | W 37"
1980s sailor blouse | white blue button down nautical vintage top | W 31"